So this is the second book in the series after Ganesh which has already been reviewed earlier. Now I can foresee many more stories being told to kids this way and they don’t disappoint, and imagine the story telling with telling illustrations for kids and the setting is going to get better and enjoyable. 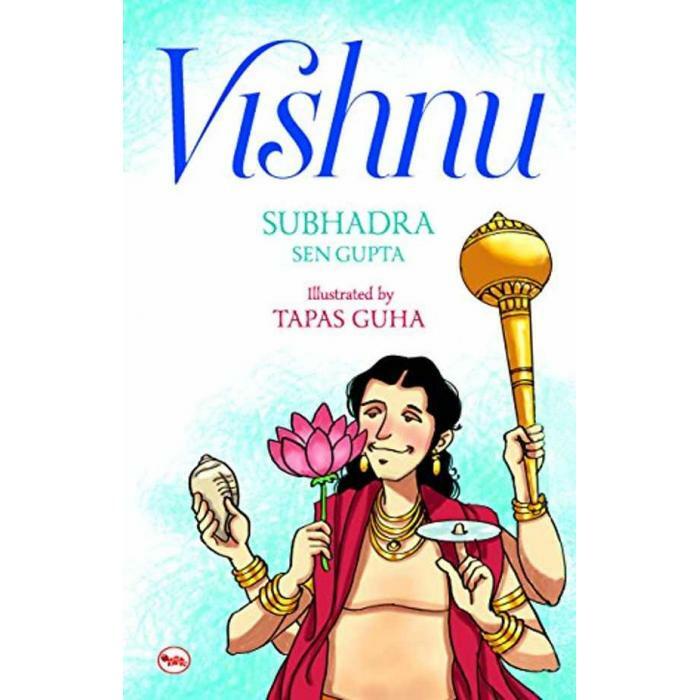 So here the author presents three different stories we normally identify with Vishnu the protector of the trio, Brahma, Vishnu and Shiva. In this land of India if you want to achieve seriously powerful weapons and sometimes even immortality there is an way to go about it and quite often the asuras or the opponents of devas as we know them, do it with finesse that they will end up with some of the best wishes granted to them. So in the first story titled How to fool an Asura is that of Bhasmasura as his name suggest the asura with ashes, invoked Shiva and got his prayers answered and in that he wanted anyone he touches with his hand to become ashes. This as usual was a problem for the Devas led by Indra and they take refuge of Vishnu to somehow defeat Bhasmasura. Vishnu takes the form of Mohini a beautiful girl and get to teach Bhasmasura and he being very happy about it continues to dance following the steps of Mohini, till he puts his hand on his head without realising that he would burn to ashes. The second story Sea of Milk is that of churning the milk ocean and how Vishnu became the turtle and held the mountain for them to continue churning the milky ocean. He takes the form of again a beautiful maiden to get the advantage to the Gods. The third story of Vamana is also a great one with the King Mahabali who is also an asura who gets to rule the world with his powers. But then it has to be stopped or else there might be a problem for the devas. When asked for three foot steps of land from Maha Bali, Vishnu covers the earth and sky with two steps and Bali offers his head for the third step. So we have some nice stories that will enliven the kids during sleep time or when they are seeking fun. The author has taken liberty to interpret things for kids and in a way it seems it suits the adult audience too. As for me, the kid at home seems to like it with the interesting illustrations and pictures that they identify with. Tapas Guha has done a commendable job with his illustrations and the cover looks very nice. Click on these links to pick the copy from Amazon / Flipkart.